Are you going to participate in the LDA Examination? Do you want to download Calcutta High Court Admit Card 2019? If yes, It is the perfect place for you. Calcutta High Court Department is going to organize written examination for Lower Division Assistant Posts. 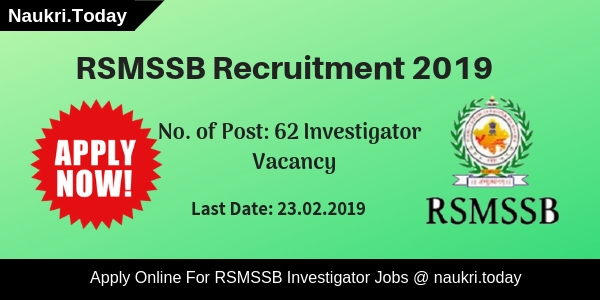 The Written examination should take place on 24th February 2019 for 200 Vacancies. Applicants who are going to participate in the examination may download Calcutta High Court Hall Ticket 2019 from here. The Department will issue Calcutta HC Call Letter at the official website before one week of the examination. For furthermore details aspirants may refer to the below article. 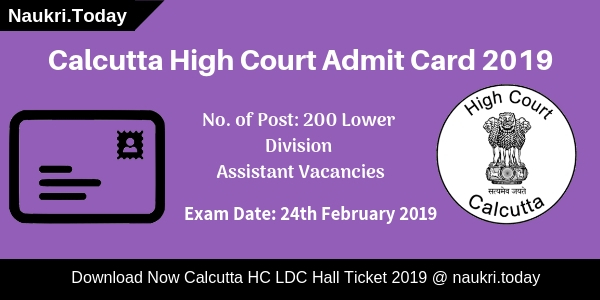 Fresh Update as on 23.02.2019: Applicants who are appearing for Lower Division Assistant Exam can download Calcutta High Court Admit Card 2019 from here. Department has issued call letters on its official website. Participants must download their Calcutta HC Hall Ticket 2019 from the direct link given below. Fresh Update as on 09.02.2019: Hello Friends, Calcutta High Court Examination is going to held on 24 February 2019. 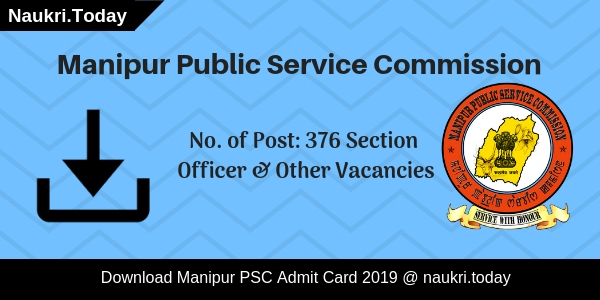 The Department is going to release Admit Card tentatively on 09.02.2019. Here we gave you links to download Calcutta High Court Admit Card 2019 from here. Calcutta High Court Department has issued notification for Appointing candidates on 200 Lower Division Assistant Vacancies. The Department will Release Official Notification for 200 LDA Posts on 20.12.2018. Candidates can register for Calcutta HC LDA Examination form 20.12.2018. Eligible Aspirants can fill up their application for up to the last date only which is 19.01.2019. The Department will conduct written examination for Lower Division Assistant Posts will take place tentatively on 24.02.2019. Candidates can download their Calcutta High Court Admit Card 2019 form 09.02.2019. Candidates who are going to participate in the examination may download Calcutta HC Hall Ticket 2019 before 10 to 15 days of examination. Applicants can download their Calcutta High Court Call Letter by Registration Number or ID Password. Participants do not forget to carry Calcutta HC LDA Hall Ticket at the exam center. Here we provided you links to download LDA Permission Letter 2019. It consists of a lot of important details regarding examination. Calcutta High Court Admit Card is one of the important documents. It consists of important details related to the examination such as exam date, etc. Candidates may download Calcutta HC Call Letter 2019 by Registration Number or ID Password. Applicants must verify details printed in it is correct is not. At the entrance of the exam center, the invigilators will check your Calcutta HC LDA Admit Card 2019. Without this, the examiner may not allow you in the examination hall. Here we gave you a list of details available on Calcutta High Court Hall Ticket 2019. Participants may also be required to carry some other documents such as ID Proof and Photos. These documents are used for filling up attendance sheet for Calcutta High Court Examination 2019. ID Proof contains permanent details of aspirants such as address, age, etc. Applicants may also take two passport size photo at the examination hall. Here we gave you a list of ID Proof form which one you can carry at the exam center. Selection of candidates will take place on the basis of Preliminary, Mains and Viva Voice. Candidates firstly appear in Preliminary examination which is objective type in nature. It consists of 100 questions. Each question contains one marks. The Time given for attempting Preliminary examination is 90 Minutes. Candidates who qualify in Pre-examination will take part in Mains Exam. A Mains Exam should be written type in nature and contain 300 Marks. Participants who get qualify in both examinations will call for Viva Voice. For participating in written examination candidates may require Calcutta High Court Admit Card 2019. Aspirants may download their Calcutta HC Call Letter 2019 form links given here. Candidates who are going to participate in Lower Division Assistant examination may download Calcutta High Court Hall Ticket 2019 form here. An Examination is going to held on 24 February 2019. Here we gave you simple and easy steps to download Calcutta HC LDA Admit Card 2019. Log on to the official Website of Calcutta High Court Department i.e calcuttahighcourt.gov.in. Search for Calcutta High Court Admit Card 2019 section at Homepage. Check Details Printed on Calcutta HC Call Letter is correct or not. Click on Download button to Save Calcutta High Court Call Letter. Conclusion: Calcutta High Court Department will conduct written examination for Lower Division Assistant Posts. Participating applicants may download Calcutta High Court Admit Card 2019 from here. Aspirants should read the above article carefully for further more details.